Lander keeps growing: Maps, Fonts and Countdown! Wohoo! We have new features for you and your Landing Pages. 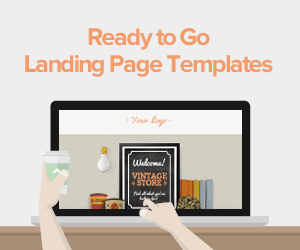 Enhance your Landing Pages with Maps, Fonts and Countdowns! Maybe you’d like to launch a new product or want to show the world where to find you or you’re holding an event and you want to show your audience where it is going to be? Maybe you’re a little bit tired of always using the same fonts. Or you want to integrate your Landing Page with your own CRM software. Well because we’re always thinking of you, we've brought you some new features to do that and MORE! Now you can add a Google Map to your Landing Page, and as always, you just have to use the drag and drop editor. Next you can now include a Countdown timer on your landing page, and easily set the countdown and date of your launch. Also, if that still wasn't enough, your title and the content of your Landing Page can be as beautiful as you always wished with our new 6 typography. Finally, last but not least, lander has a new friend, you can now integrate your leads with your favorite CRM app. Let’s take a look at each one of them! When you enter into the Editor of your Landing Page under “tools” where it says “advanced” you’ll see a new feature! This new feature will let you embed a Google Map into your Landing Page. It’s really easy, you just have to copy the URL that Google gives you and paste it on Lander. Google Maps is a web mapping service application and technology provided by Google that powers many map-based services, including the Google Maps website, Google Ride Finder, Google Transit, and also maps embedded on third-party websites. Google Maps offers street maps, a route planner for traveling by foot, car, bike (beta), or with public transportation and a locator for urban businesses in numerous countries around the world. Also Google Maps provides high-resolution aerial or satellite images for most urban areas all over the world. Now you can show your visitors where to find your products, your store location, or even the event you’re gonna hold. You can choose how to show the map, between the satellite or street map, you can change that in the properties section. But if you have a doubt you can take a look at our Knowledge base and watch our video about how to embed your Google Map in a few easy steps. Are you launching a new product? or building a new site? Or Maybe you’re starting a new company? Now your Landing Page will let you include a Countdown timer to show your visitors when your product is going to be available or when your new site is gonna be online. Just in case you didn't know, landing pages are a really good tool to show a Coming Soon page. To find out how, check out our post about how to use them! To include the countdown timer into your Landing Pages you just have to drag and drop the element that you will find under your advanced tools section of the editor. Then you’ll see a Calendar and be able to set the Time, Date and your Timezone. Also you can edit the Border Style, color and width. It’s time to make you final countdown! Now it’s 3-2-1 Blastoff!! 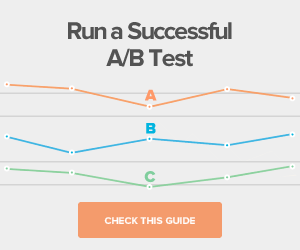 Sometimes you want to innovate in some part of your Landing Page but you just don’t know how? Well how about changing your title typography, or maybe your content. We have just added 6 new typographic fonts, Roboto, Bitter, Droid Serif, Gentium Basic, Pacifico and Just Another Hand. Choose any of these new fonts and give a new look to your Landing Page. Just read the little description of each one below to learn how you can use them! We’re also gonna be adding new ones in the future so stay tuned! Roboto is of the sans-serif typeface family "modern, yet approachable" and "emotional". Roboto has a dual nature. It has a mechanical skeleton and the forms are largely geometric. At the same time, the font features friendly and open curves. Bitter: This font is specially designed for comfortable reading on any computer or device. The robust design started from the austerity of the pixel grid, based on rational rather than emotional principles. It combines the large x-heights and legibility of the humanistic tradition with subtle characteristics. Droid Serif: The “Droid Serif” font family features a contemporary appearance and was designed for comfortable reading on screen. Droid Serif features slightly condensed letterforms to maximize the amount of text displayed on small screens. Pacifico Aloha! Pacifico is an original and fun brush script handwriting. Pacifico is just a great, round and loopy script that really has a unique feel to it. It’s hard to find a thick script with such nice curves and so much character so be sure to bookmark this one. Gentium Basic: Gentium is a Unicode serif typeface based on the original Gentium design, but with additional weights. The "Book" family is slightly heavier. Both families come with a complete regular, bold, italic and bold italic set of fonts. Just Another Hand If you’re looking for something that looks truly handwritten, Just Another Hand is a good choice. To throw a visual curve ball, I used shadows to give it a 3D effect, but it looks great (or even better) even without them. As you already probably know, Lander currently allows you to integrate your Landing Page with different CRM or Email Marketing apps such as SalesForce or Mailchimp. But just in case if you don’t already use any of these apps, now you’ll be able to integrate your Landing Page with Webhooks. This means that you can now integrate with your own CRM software or Email Marketing software. In your landing pages dashboard over the Integrations section you’ll find this new feature. What exactly is Webhooks you might ask? Well, Webhooks allow you to collect data, and send it to your own software. For example, every time someone submits their contacts in your Landing Pages form, the information will be sent to your CRM. Do keep in mind that in order to integrate WebHooks you’ll need to have some basic coding knowledge as well. 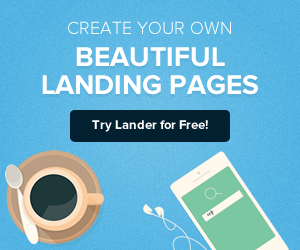 We’re glad to continue adding new features to Lander, for you and for your Landing Pages. 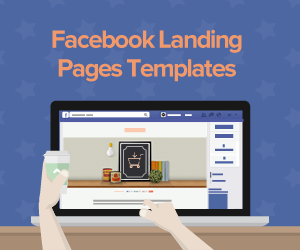 It’s important for us to give you different tools to improve your Landing Pages and achieve your business goals. But don’t think that this is the “be all, end all”, we’re still working hard and new features are coming! Do you have any new features in mind that you’d like to see on Lander? We love your feedback, please give us your thoughts here! Don’t hesitate to tell us. Leave us a comment or contact us on Twitter, Facebook, Google + or email. Nacho is the Product Owner and curator of Landerapp as well as Chief Product Officer at Making Sense.